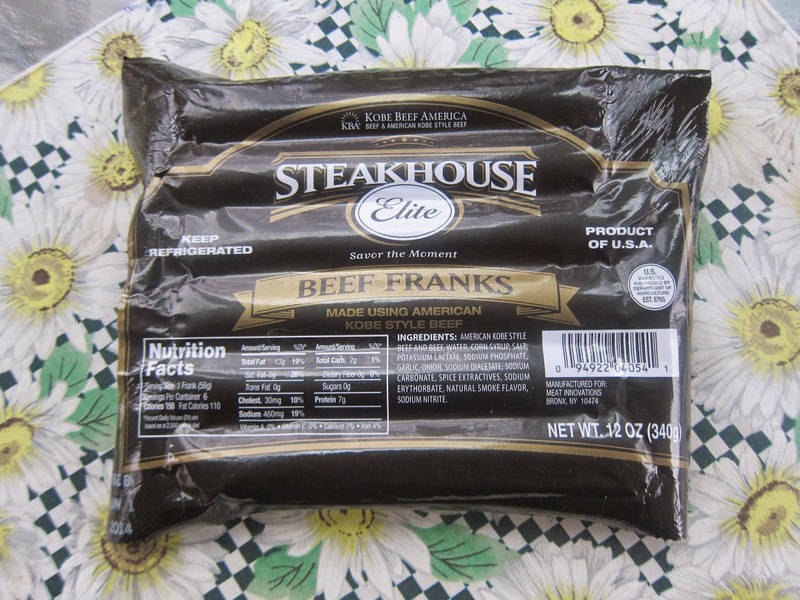 Steak House Elite sent me some of their gourmet hot dogs to try out. They may or may not be in your area, but they are sold online if you can't find them. These are all beef franks made with American kobe beef. Kobe is a special type of beef which I believe is out of Japan. Some kobe cows were brought over so that there is a small stock of kobe in the United States too. 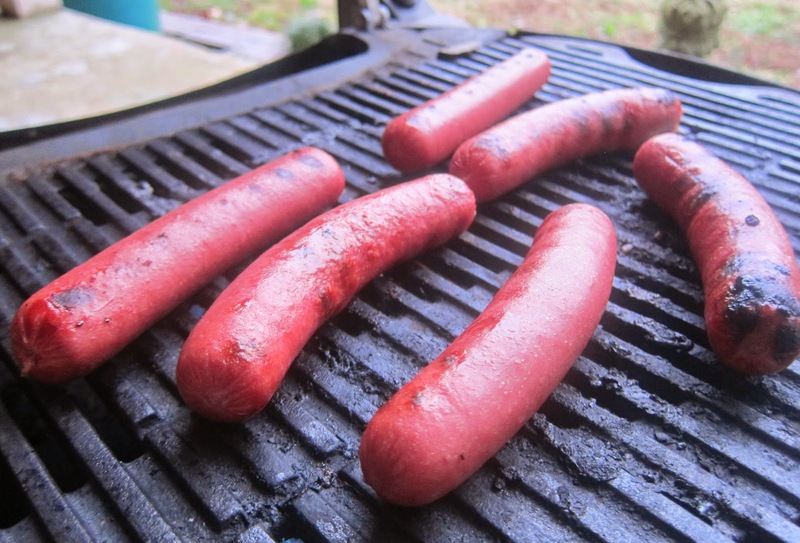 Of course, my Steak House Elite wieners went right on the grill. They are as traditional with hot dogs pre-cooked, so it was just a matter of heating them up and getting some grill marks. There was little to no shrinkage on the beef hot dogs. As you can see they are the length of the bun. 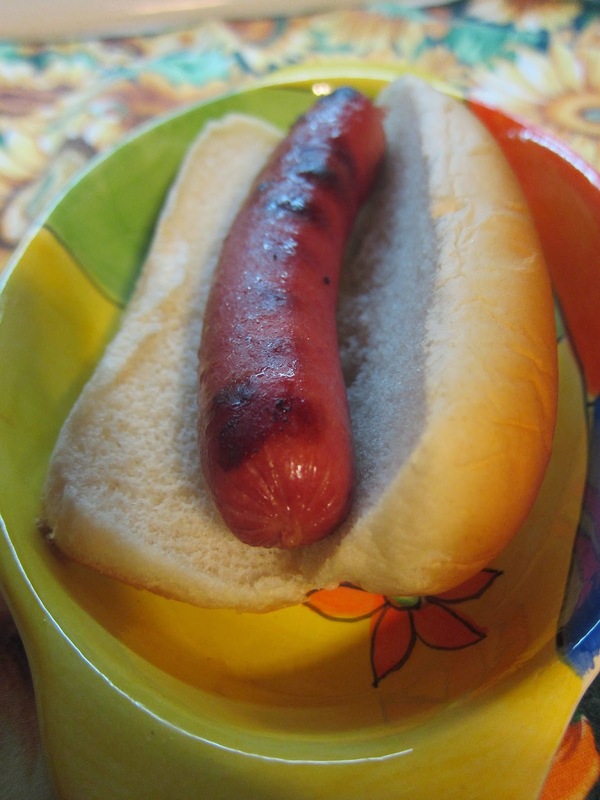 Why all hot dogs aren't, I do not know. Who wants a big hunk of bread and mustard with no meat at the end? Well, that doesn't happen with Steak House Elite franks. As for the flavor, it was excellent. The outer casing has a very light pop when you bite. Then, it's blissful beef goodness. Some people say all hot dogs taste the same. I'm thinking they have not tried many. There's a huge difference in the brands, and this is one of the best I've had. We dressed our up with chili, mustard, and onions after which is kind of a North Carolina tradition. Then, we chowed down on these delicious hot dogs by Steak House Elite. You are so right, Cyndi, there is a big difference in hot dogs. You are also correct that the "right" way to eat a hot dog is with chili, onions, and mustard. When people tell me that it needs cheese too, I tell them they must not be from around here - that's for Coney Island people (ha ha). We're lucky enough that Publix carries the Steakhouse Elite here.